Is My Website Already Set? Go to your website and right-click anywhere on the page and choose “View Page Source.” Then press CTRL+F which will bring up find box and search for ” application/rss+xml ” and you may be surprised to find that you already have the code in your page. In almost all of my shows, when I do a search. You need to have this code in the header section of your website. This does not mean you need to have an RSS button on your website (although that's a good idea). This code is woven into the fiber of your website. If you are not sure what this is, find someone who does. I have lined up some of the more popular themes and what and where to add this code. Click on Genesis on the left-hand side, and scroll down to the Header Scripts and enter the code and click save. What If I Don't Have Any Options in My Theme? What If I'm Using BluBrry Powerpress as a Player Only? You can enter the RSS feed from your media host in the field for the Feedburner feed. This will show the PowerPress feed, but redirect others to your other feed. According to Google's documentation, “The homepage cannot have another <link type=”application/rss+xml” rel=”alternate”> element on it.” I'm not sure how this is going to work for websites that have networks of shows. 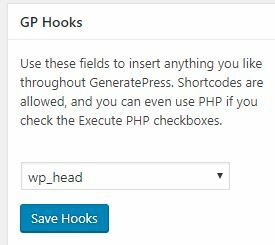 Out of the gate, WordPress has multiple “application/rss+xml” statements as you have two by default. One for your feed, and one for your comments. 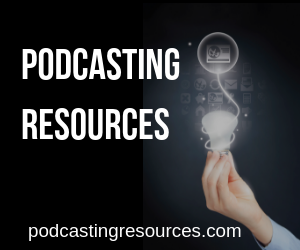 While I'm happy to hear Google say they are making podcasting a priority, I will be ecstatic when I SEE Google provide the tools to make podcasting a priority. 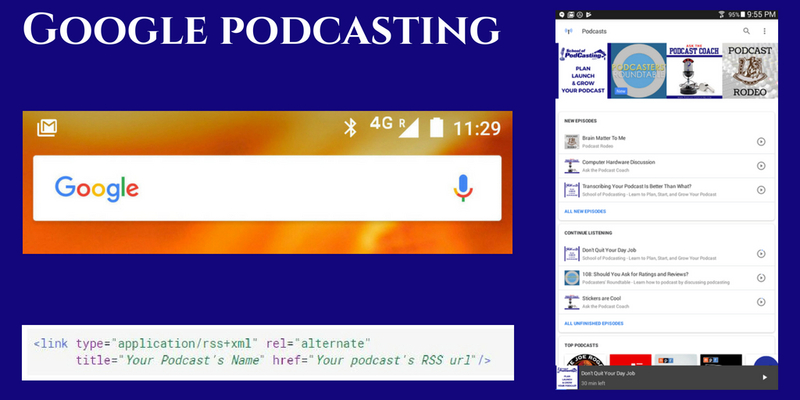 As I write this Google Play Music is still not available globally, so the fact that I'm not sure what happens if there are two mentions of an RSS feed on my website doesn't really worry me. I'll do what I can (add the header code) and adjust as more input is available.